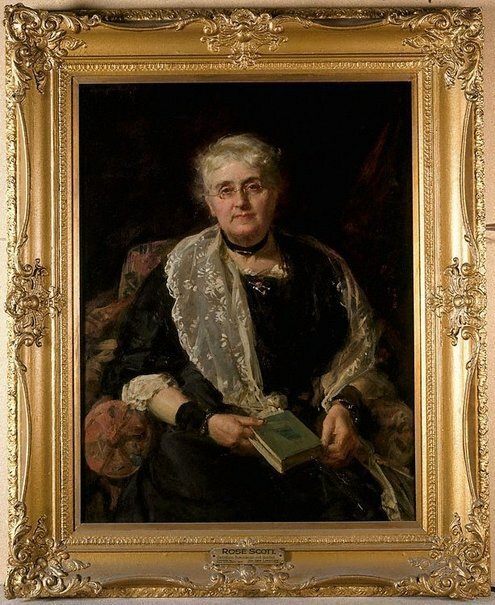 Susan Gillberg, Portrait of a lady: Sir John Longstaff , 'Enduring elegance: Sir John Longstaff's portraits of women', pg. 6-17, Shepparton, 2012, 15, 25 (colour illus), 44. Wayne Johnson, Painting The Rocks: the loss of old Sydney , 'Stories from Old Sydney: Rose Scott', pg. 113, Sydney, 2010, 112 (colour illus.). The Sydney Morning Herald , Sydney, 23 Feb 1922. The Australasian , Melbourne, 31 Dec 1921. Evening news , Sydney, 31 Dec 1921.